Park officials say new growth will emerge within the nearly 320-acre containment zone. ALAMO — White smoke slowly billowed from the ground in multiple areas Saturday afternoon, days after a fire burned through Santa Ana National Wildlife Refuge. That is what visitors to the refuge are likely to see beginning Sunday as Santa Ana officials announced it would reopen the tract to the public — with some restrictions. Scott Affeldt, an assistant fire management officer with the U.S. Fish and Wildlife Service, said the refuge will reopen with limited restrictions for the public, most notably the Vireo and Pintail Lakes Trails will be closed because there are still hot spots in those areas. The opening comes just days after fire crews from Donna, San Juan, Pharr, Alamo and the U.S. Fish and Wildlife Service began fighting the fire that began as a 5- to 10-acre fire on the banks of the river. A small pocket of smoldering brush and trees is seen in this Saturday, March 10 photo at the Santa Ana Wildlife Refuge in Alamo. The hot spots on the refuge will naturally burn out. 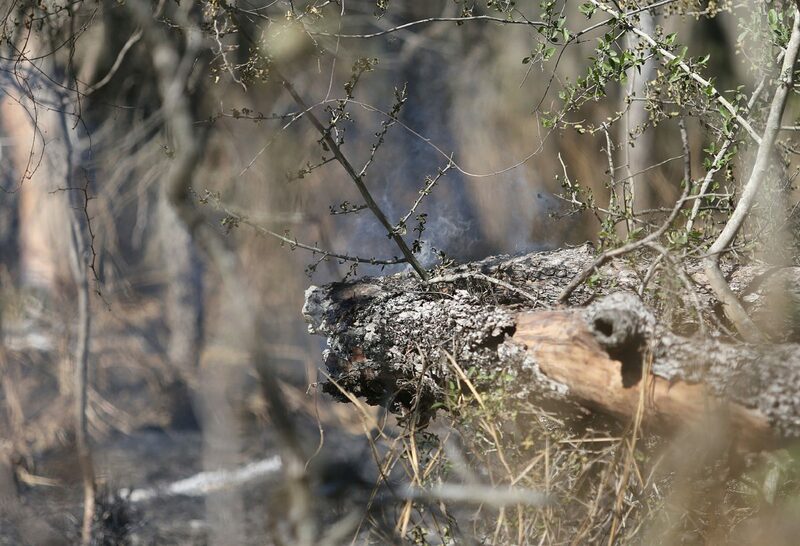 The fire likely spread from a controlled burn of river cane on the Mexican side of the border. Embers were carried over the border due to high winds. 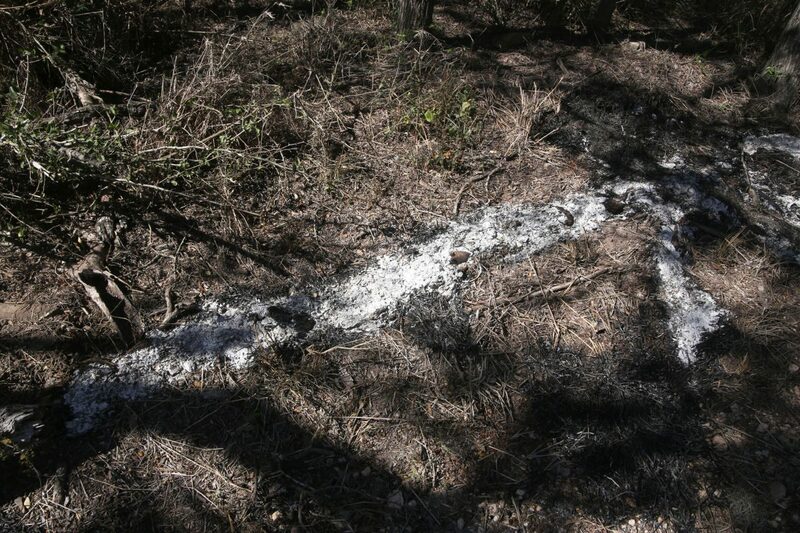 White lines signify limbs or branches that burnt in the wildfire. 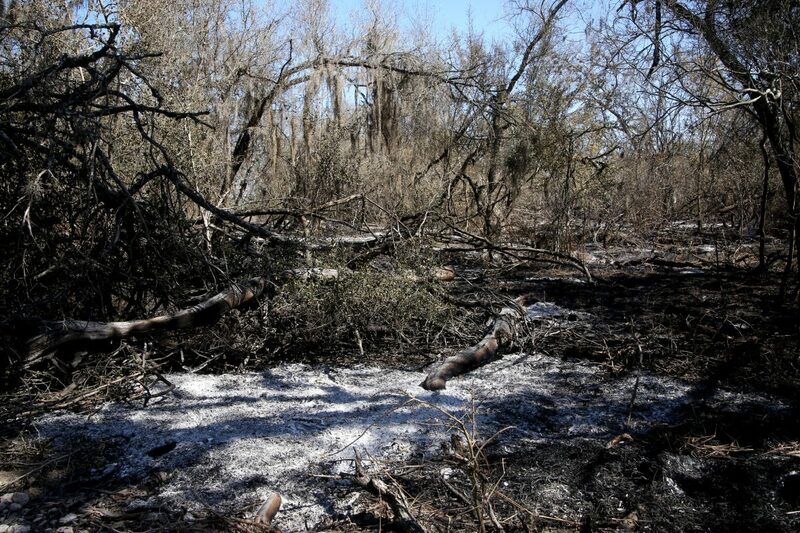 Remnants of the brush and trees that burned over the course of four days at the refuge — reduced to just black-and-white ash — underscored the powerful nature of the fire that is believed to have originated on the Mexican side of the river and affected nearly 300 acres of 2,088-acre refuge. Affeldt, a more than 10-year-veteran firefighter, said that almost immediately fire crews determined the fire — which engulfed two sides of a service road near the banks of the river — would be best contained from a different position. “The incident commander decided to pull back out to an area that’s very defendable, and the main reason for that is firefighter safety,” Affeldt said. “Would it have been possible to corral (the fire) at 5 or 10 acres — possibly — but it was dark, so you had the hazard of working in the dark, hazard trees could come down, (but if) you get away from it, in a controlled environment, it’s much safer (and) much more efficient. Crews used man-made trails and roads to set up a more than 300-acre area around the fire as the containment line. “We got ahead of (the fire), we anchored in at the Rio Grande River, and started working all the way around the fire and anchored back into the (river) on the other side — basically, put a line from one side of the fire all the way around it,” Affeldt said. At that point crews began fighting the fire by introducing back-burns, or controlled burns. He said the technique helped put out the fire by Friday afternoon when crews had contained the fire with only about 20 percent of fuel still burning in some spots. “Eighty percent controlled means that there’s still about 20 percent of unburned fuel or potential for stuff to still burn, there’s still a little bit of stuff in the interior actively burning,” Affeldt said. 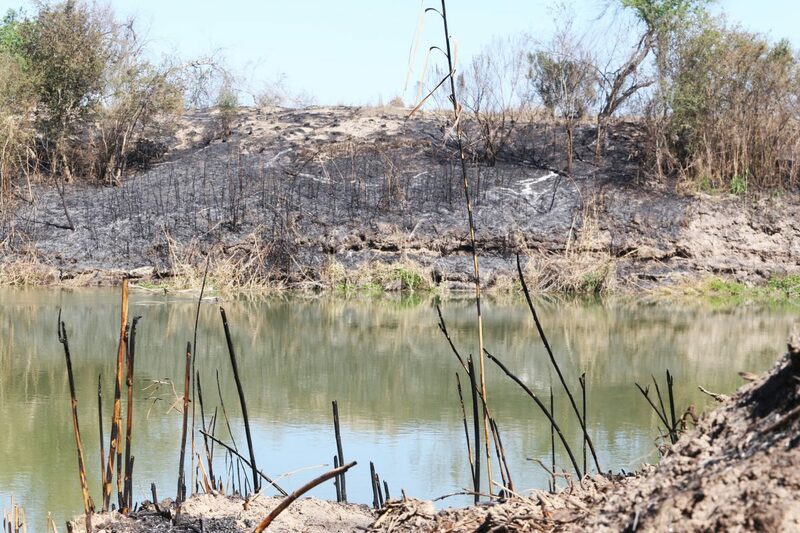 Within the affected area much of the brush and vegetation was reduced to ash, but pockets of unaffected areas remain. Visitors will still be able to go on the Tram tours but the two closed trails will have crews working to clear out debris. The fire, although considered mostly a negative occurrence, was actually beneficial in this case because of how much fuel bed had accumulated throughout the years, the longtime firefighter said. “(Because) of the flood of 2010, there was a lot of “dead and down and duff,” on the ground, so if you see all the black ash, that’s what burnt up,” Affeldt said. “You had a lot of leaf litter, a lot of dead grass that had accumulated and it’s basically a fuel bed.